Another hodgepodge post…with a story! See any other animals in this picture? Strangely enough, I live in the middle of Cattle Country and I’m a vegetarian. So I made my own kind of turkey this year. Yesterday, Bob and I made a trip to our nearest metropolitan city: Tulsa, to see a movie. Why drive so far? Because there’s a really AWESOME theater in Tulsa that has two leather recliners pushed together with a moveable arm rest–so really it becomes like a little loveseat. There are only about eight couches of two seats on a row and about five rows in the entire theater, with about a three or four foot “walkway” between the seats and a little half wall of glass that divides you from the next row down. It is extremely comfortable (and snazzy) and matinees are only six dollars. Score! The problem is, they do assigned seating so one person can’t have a whole set of two seats to themselves by sitting in one of the seats while their buddy goes off and does the same thing, thus taking up four of the 40 seats. I understand that. So when you go to pay, they show you this screen and have the rows and sets of seats taken and what’s available for you and your companion(s) to pick from. My husband doesn’t like sitting on the very last row, but on the fourth row. The theater was virtually empty when we selected our seats with five minutes to showtime so we selected the fourth row, and in the middle. Great. We run to the bathroom and go to the auditorium and get settled. Just as the previews begin to roll this older guy (mid-60s it looks like) comes waltzing in with his giant drink and popcorn. As I said, there are 40 seats in this place, and only two are occupied–which he already knew because he had to select his seats at the ticket counter just like we did. Where did he choose to sit? RIGHT NEXT TO ME! Of all places. He had to sit right there in the seat on my right?? He saw there were all these other seats available, and he had to pick that one. He didn’t even have the courtesy of sitting on the other side of the loveseat, he picked the chair right next to mine. Then he put his drink in the cup holder and begin crunching his popcorn in my ear. He stopped crunching and started clearing his throat in this deep, phlegmy way. He coughed and hacked a few times, making my skin crawl. Then he started making that disgusting noise again, except this time he was doing it through his nose. You know that feeling/sound when you have something in your nose and you’re breathing in really hard to try to clear it? He was doing that and whatever it was in his nasal passage got stuck in his throat and he coughed again–and the spittle went flying! Oh, and where does it land? No, not in a napkin he’s holding in front of his face, because he isn’t. Therefore, I got sprayed on my bare arm with his spittle. I was SO mad, I got up and left the theater and the show hadn’t even started yet. My husband really wanted to see the movie and I wanted to spend the day with him, so after scrubbing my arm in the bathroom I had to go to the ticket counter and ask that they move us seats. Of course the guy wanted an explanation and I tried to give one without losing my lunch or making him laugh at me. I’m sure they’ll be telling this story in the break room over there for a while, but it was worth it to get a new seat. There you have it, the final confirmation that I am indeed a magnet for the strange, odd and just downright disgusting! Have a great day! 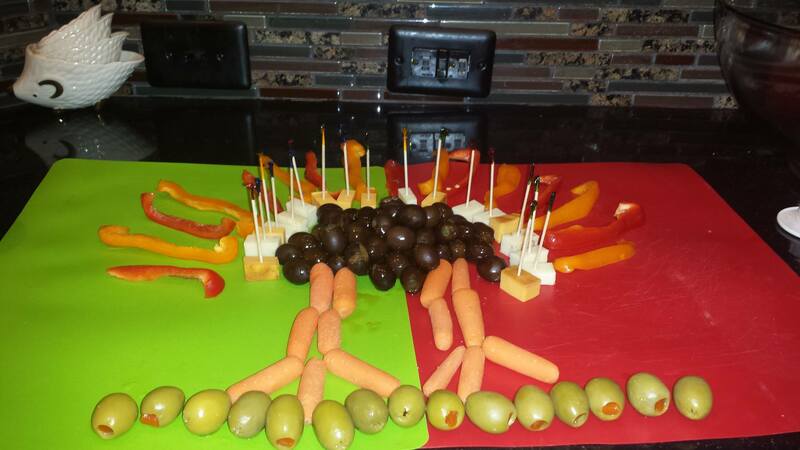 I see Alex’s hedgehog behind the turkey…lol. Sorry things happened the way they did at the movies, all though it does sound like a nice place to go. And I lived the cover as always. It’s life and YES those are a stack of hedgehog measuring cups a reader sent me. If I said it once I’ve said it a thousand times. Only you, Rose. I’m not sure what that says about me if you are a magnet to oddness though. Yeah I do, I’m odd. I know it! I am just in awe that it happens to me so often! Ditto what Judy said…only you. LOL I’m afraid I might have been mad enough to say something. I’m pretty sure my husband would. I love the colors on the new cover. Awesome purple! I was just so stunned at the gross-ness of it all.